There’s growing excitement as we get closer and closer to Monday’s eclipse. It’s the first time in almost a century that people from coast-to-coast will get to witness the event. There’s growing excitement as we get closer and closer to Monday’s eclipse. It’s the first time in almost a century that people from coast-to-coast will get to witness the event. Little Rhys Maxner has eclipse fever. “Yeah, yeah, yeah, yeah,” she screamed jumping up and down. And it seems to be contagious. “It’s going to be awesome,” said Susan Kenna of Concord, New Hampshire. “Just to be a part of history,” said Jessica Beane of Gilford. “It touches you to the human core to see day suddenly become night,” said Sarah Hoffschwelle, the Educational Director at the McAuliffe-Shepard Discovery Center in Concord. We’re not in the path of totality here in New Hampshire, but at 62 percent, we’ll still get quite the show. “Seeing when the moon takes first bite out of the sun is an awe inspiring event,” Hoffschwell said. Amidst the excitement – an unexpected question. How will the unusual weather impact our pets? “People are very concerned about their pets and even the zoos are taking precaution,” said Concord Veterinarian Laurie Farrell. Dr. Farrell says extreme weather anxiety is a real thing and it’s dangerous. “Animals will go crazy, they can actually scare themselves to death,” she said. But Farrell doesn’t think Monday’s eclipse will have the same impact. 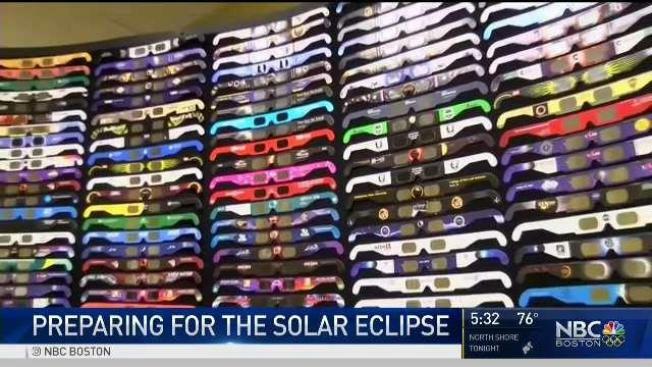 So no need to worry about your dog, but now, where will you find the glasses you need to watch the eclipse? “Everything’s backordered, we looked all over,” Kenna said after being turned away from the Discovery Center. It sold out of about a thousand pairs by Wednesday. Too bad we can’t all be as fortunate as Rhys. The glasses are sold out at stores across the country and even online. But there are simple ways to indirectly watch the eclipse. Hoffschwell explains in the video below. 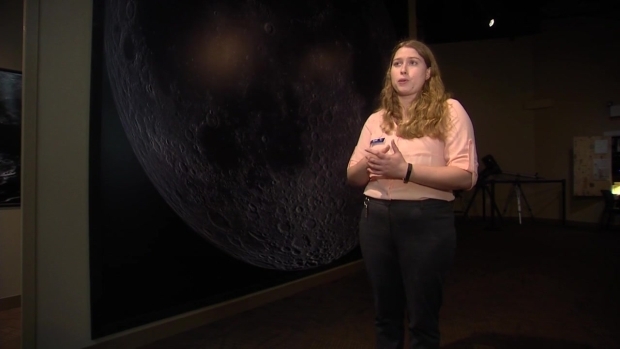 Sarah Hoffschwell, the Director of Education at the McAuliffe-Shepard Discovery Center in Concord, NH, explains you can indirectly watch the Solar Eclipse on Monday if you don't have time to buy the necessary glasses.